Today our phones can do lots of useful and amazing things. Sometimes we are even not aware of how much potential we’ve got right in our pockets. If you need to measure speed, whether your own one or of some vehicle, you don’t need to buy a special device for it anymore! Just download the right speedometer app. But, luckily, for you, we can make it easier because we’ve found an incredible GPS speedometer app for measuring speed. Let’s see what the app is all about. What is Sp33dy all about? The Sp33dy is developed for iOS users, as one easy to use and yet incredibly practical GPS speedometer dash-cam which offers you the ability to measure the speed of your own vehicle anytime you are on the road. All speed related readouts are available for you within the app like the maximum and average speed, the breaking and acceleration time and much more. Measure the speed with video recording speed overlaid over it so you can drive safely on a daily basis. 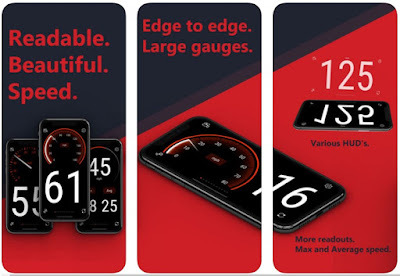 This GPS speedometer offers features like a clean interface with new gauges and measurement integration. On the app users are offered a theme switch control with the automatic theme controlled by screen brightness and theme controlled by time of the day. Your own theme colors can be chosen on the app as well. Users get to enjoy more features like rotation lock with more user-friendly layouts. A GPS signal strength and sensor calibration level indication are available on the app. For a clear readout, the app offers a simple display when one is on the move. In many situations, the app can be useful like when the user has a broken speedometer, he’s got different size tires, he changed his gearbox, drives a push bike, doubts his speedometer or when he wants to know the speed of the airplane and much more. 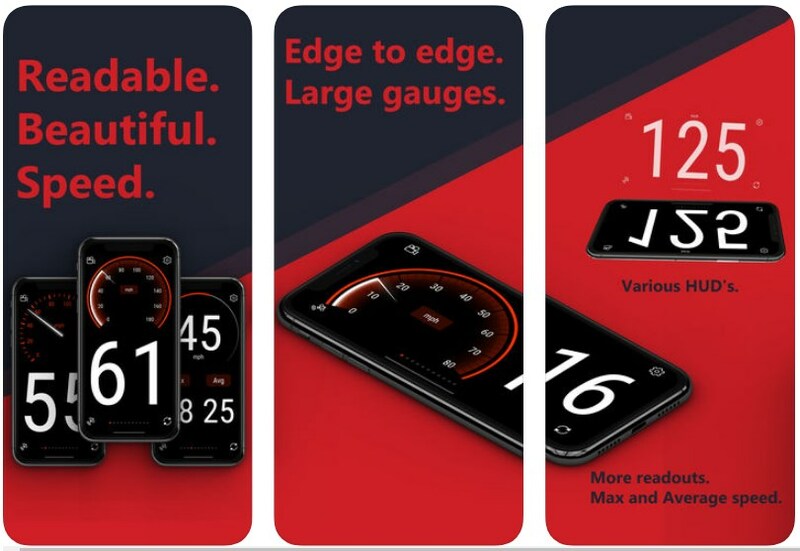 Gauges scalable from 10 to 1000 units of any type are offered so can be used for walking, skateboard, push bike, truck, supercar, airplane, bus, train and other and the app supports mph, km/h, knots, and m/s. Download the speedometer for free on the App Store to measure the speed of your vehicle on a daily basis!